Scooter Community, Everything about Scooters, Join the Scooter Community » SOCIAL » Scootertalk - Talk about scooters » E-10 - again. Last post 07-13-2017 08:42 PM by INMA. 3 replies. It would seem that as an alternative fuel E-10 is a "non-event" for lovers of 2 wheel transport. Some conventional fuels blended with alcohol are available in some locales to help reduce emissions to meet clean air standards. If you plan to use blended fuel, check that it is unleaded and meets the minimum octane rating requirement. ●Petrol containing ethanol (ethyl alcohol) up to 10% by volume. uPetrol containing ethanol may be marketed under the name Gasohol. ●Damage the painting of the fuel tank. ●Damage the rubber tubes of the fuel line. ●Cause corrosion of the fuel tank. If you notice any undesirable operating symptoms or performance problems, try a different brand of petrol. Use of blended fuels containing higher than approved percentages can damage metal, rubber, plastic parts of your fuel system. E10 has never been proven to reduce carbon emmisions. Ethanol is a low carbon fuel but the industry has never accounted for electricity used in irrigation or diesel used in farming or transport. Add these to the carbon calculation and any benifits of this subsidised fuel are questionable. Then there is the aldehydes in the exhaust which cause cancer. 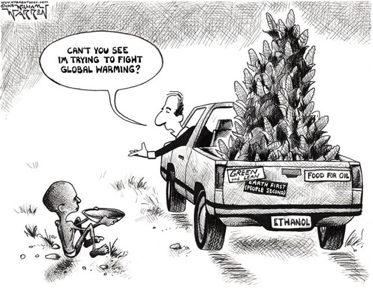 Ethanol is cheap to make from natural gas so if it is ever commercialised, expect the natural gas suppliers overseas to fload the market with cheap hydrocarbon produced ethanol. None of this is new information, the facts above were well discussed in the early 1990s.